The aging process can can affect many parts of the body. Cellulite is one of the most common irritants among most women. During the aging process the appearance of cellulite starts with the loosening of skin’s elasticity. Fascia is a band or sheet of connective tissue, primarily collagen, beneath the skin that attaches, stabilizes, encloses, and separates muscles. 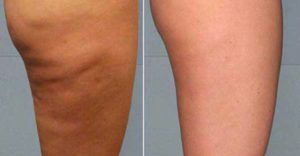 Cellulite forms when fibrous bands called “septae” connect the skin to the underlying muscle fascia, tighten irregularly, pulling down on the skin allowing the normal layer of fat beneath the skin to push upward. This results in the puckering, dimpled, and/or a cottage cheese appearance. Cellulite affects an estimated 85 to 90% of women, typically on the thighs, abdomen and buttocks. It becomes less resistant to the tension of fibrous bands. Cellulite can also affect younger women whether they are overweight or not. Cellulite seems to like almost every body type and has no obvious favorites. 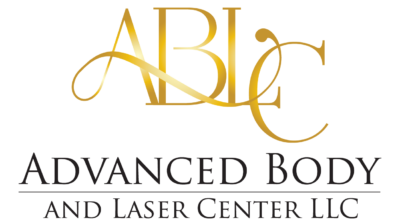 We use non-invasive treatments to rid and break up the fat pushed to the surface of your skin.